October 1st is celebrated as World Vegetarian Day and it is time to get your fill of what is happening in this space. Being a vegetarian by birth and choice, I am often questioned about my food preferences. However I have always maintained that the best food is vegetarian and I never miss out on eating meat. 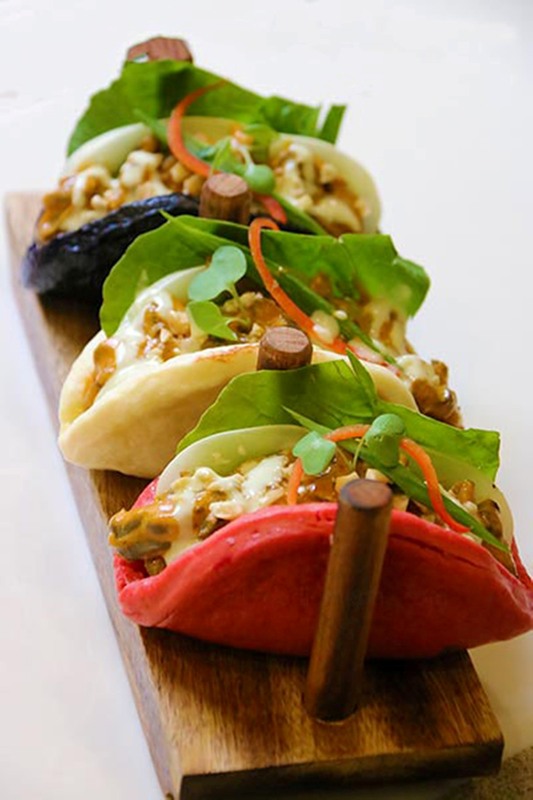 And luckily there are many people and restaurants who think similarly which is being reflected in the large number of exclusive vegetarian eateries that are mushrooming across the country. Even vegetarian temple cuisine, known as Shojin Ryori which was introduced from Japan along with Buddhism is now propagating across the globe. Today, being a vegetarian is a lifestyle and not restricted to religious or cultural. In a fast-paced world, people are constantly on the lookout for food that is fast, yet nutritious and satisfying. With the availability of super foods such as quinoa, a rich in protein alternate to meat products, and avocado, rich in good unsaturated fats and vitamins. “People are now more appreciative of the nutritional value and health quotients of vegetarian food. Moreover, working professionals prefer food items that are light and easy to digest, yet flavourful. Furthermore, the emerging trend of raw food has gained much acclaim over the recent years as these ingredients show quicker results in weight loss and fight chronic diseases,” says Neeraj Rawoot – Executive Chef, Sofitel Mumbai BKC. The Indian vegetarian diet traditionally consisted of a restricted number of items. “However, with the introduction of Indianized international food, vegetarian palate of the country has expanded. Since most global cuisines and delicacies include meat, they are seen adopting a vegetarian course to cater to the Indian taste buds. 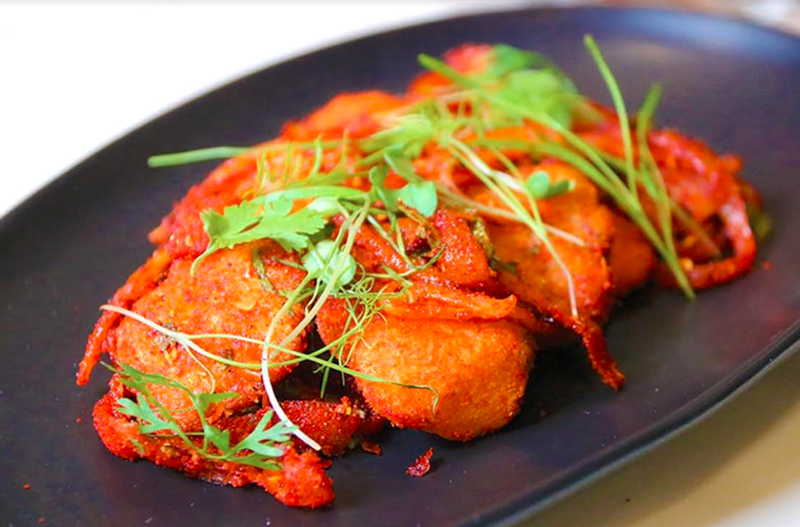 In fact, vegetarian Chinese food preparations can be found on every nook and corner in India and it is also savored by Indians on a large scale,” says Animesh Damani, Managing Director, Platinum Hotels, Ahmedabad. Top-end fine-dining restaurants have introduced dishes that have a global influence in the menu, along with their classics. Indians have been globetrotters for many years but it is only now that they have finally opened up to global foods. These days’ guests are demanding international food in desi flavours. Diners are happy to try the unique creations by chefs who have opportunities to be creative. Interestingly, vegetarian food has moved into the fine dining space and even 5 Star hotels are not hesitating to have exclusive vegetarian restaurants. ITC hotels for instance, were quick to understand this trend and moved in quickly to fill this niche demand. Most of India’s wealthy are also vegetarians and they do not go to luxury hotels because the restaurants also serve non vegetarian food. “Hence we saw the need for an exclusive vegetarian restaurant and the Royal Vega initiative has been well worth it. Featuring a fine collection of signature vegetarian dishes from across India, Royal Vega at ITC Grand Chola showcases the classical grandeur of the subcontinent and beyond. This luxury restaurant is based on the concept of seasons. 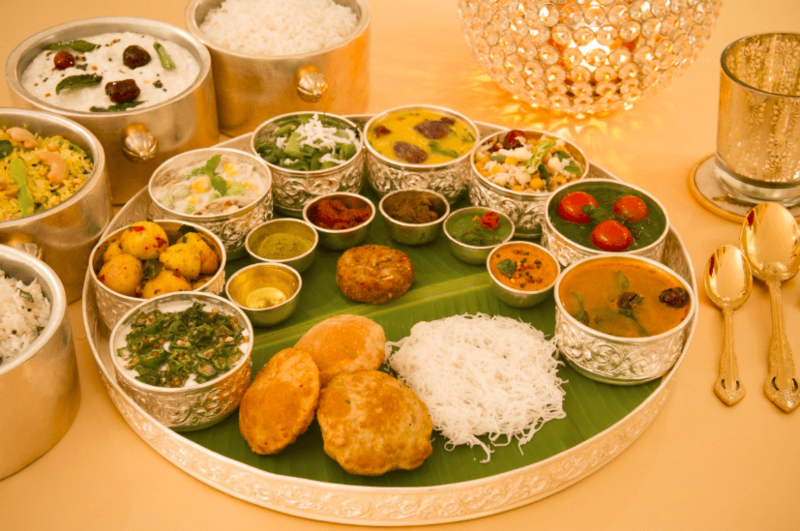 Royal Vega presents a delightful offering of delectable vegetarian food from the magnificent royal kitchens of India and is pan Indian in nature,” says Ajit Bangera, Senior Executive Chef, ITC Grand Chola. Try the unusual pinched breads, the saffron laced potatoes and the varieties of curries and dals made using ancient and sacred techniques here and you know exactly why the food tastes so delectable. Thanks to an abundance of scientific research that demonstrates the health and environmental benefits of a plant-based diet, dieticians recommend that we consume our calories from grain products, vegetables and fruits. The trend towards clean eating and fresh produce is ensuring that vegetarianism is the only sustainable option. With more and more people becoming aware of what they are eating and where their food is sourced from vegetarianism is on the rise. “Meat, dairy and other products have limited shelf lives and our known to cause several health issues. Vegetarianism is the most sustainable, guilt free and clean form in food consumption that can easily be sourced locally and replaced quickly without hassle. Also, India is known for its wide variety in vegetarian cuisine. 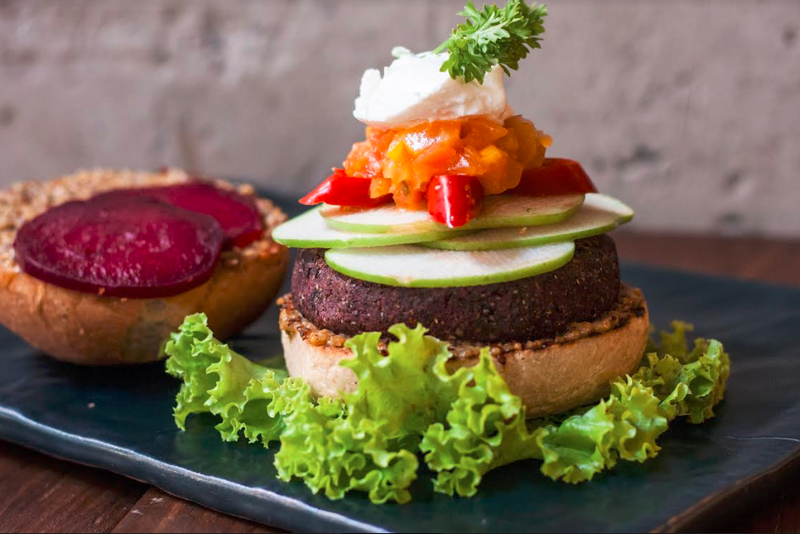 You have so many options to choose from there is hardly any need to go the other way if you are conscious about your health and eating habits,” says Praneta Mehta, Co- owner, The Kettlery, a Mumbai based restaurant. Modern taste palates have evolved largely due to the easy access to global cuisine. 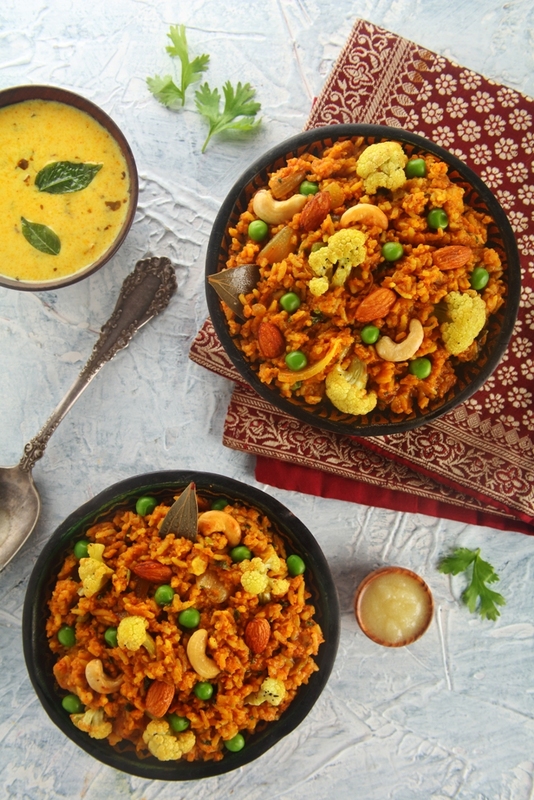 Today, fusion of several vegetarian cuisines to create unique and innovative dishes is on the rise. The availability of several variations of grains, pulses, fruits and vegetables has also made it easy to innovate and curate really exciting and delicious vegetarian food. 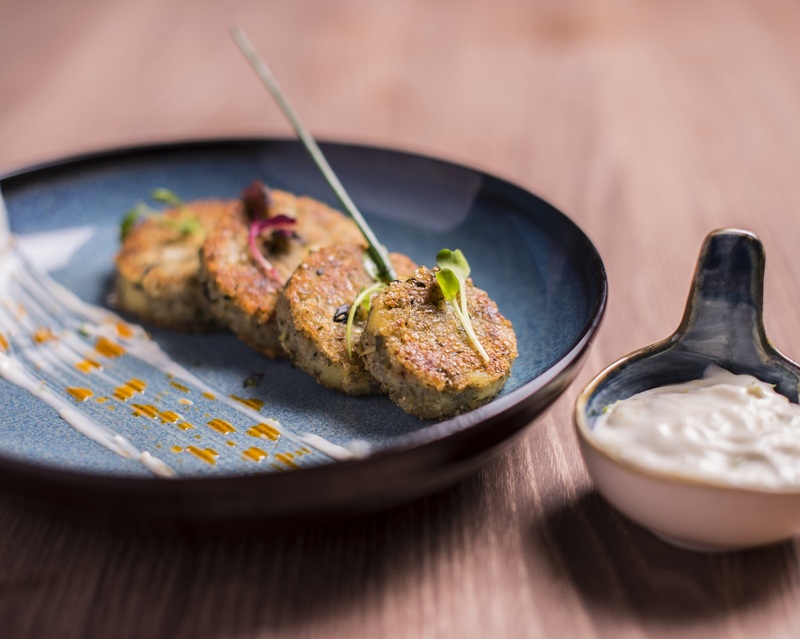 “The Beetroot shikampuri kebab in our menu is an adaptation from the famous Hyderabadi kebabs (usually non-vegetarian) with a vegetarian twist. The taste and look of the dish is very similar to the original shikampuri kebabs but it is made with all veg ingredients. Also, we are moving back to Ayurvedic style eating so Vedic methods or ‘Satvik’ foods are also a new trend in the modern times. For example ‘The Black Rice Khichdi’ in our menu is an adaptation of the famous yogic meal with a twist using different kinds of ingredients,” avers Mehta. In fact the adoption of international cuisine to vegetarian options is also trending. A decade back, vegetarian food was very much limited to certain categories of food and the menu was mostly limited to certain regional categories. “Currently we can see that a vegetarian version of all the cuisines (whether it is Indian or international) being made. All restaurants have started exploring and studying the regional cuisines by getting deep into the villages and started adding those rare regional cuisines to their menu,” says Aji Nair COO F&B division Mirah Hospitality. A key trend that is taking center stage is that people in general are increasingly going back to traditional grains. “Timoor, quinoa, ashwagandha, jimbu, edamamme, safed haldi, tamarind leaves, zakhia, artichokes, white asparagus and a variety of fresh edible flowers are in vogue today. At Royal Vega, the finest ingredients are sourced from all over the country, living up to its luxury vegetarian proposition,” avers Bangera. The resurgence of millets, jowar, bajra as traditional superfoods can hardly be undermined. 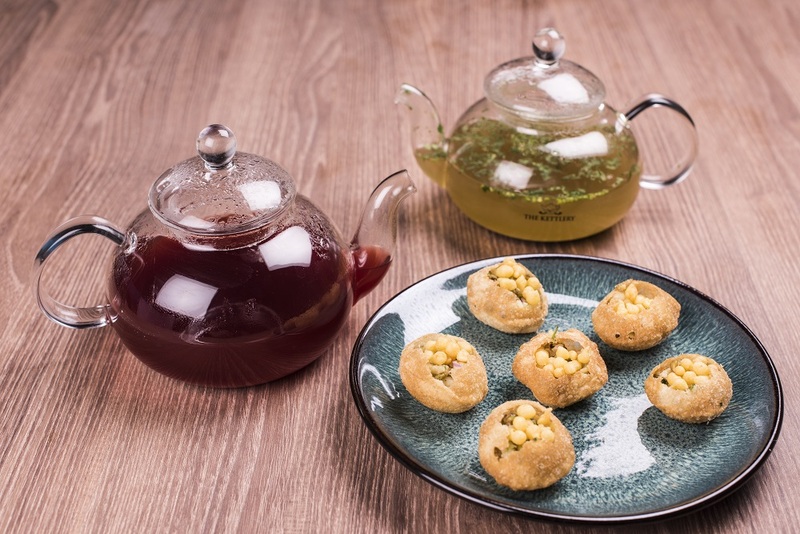 Moringa, Quinoa, chia seeds and flax seeds are also finding space in innovative vegetarian kitchens and pairing of vegetarian food and healthy beverages like tea, cold pressed juices is becoming popular. 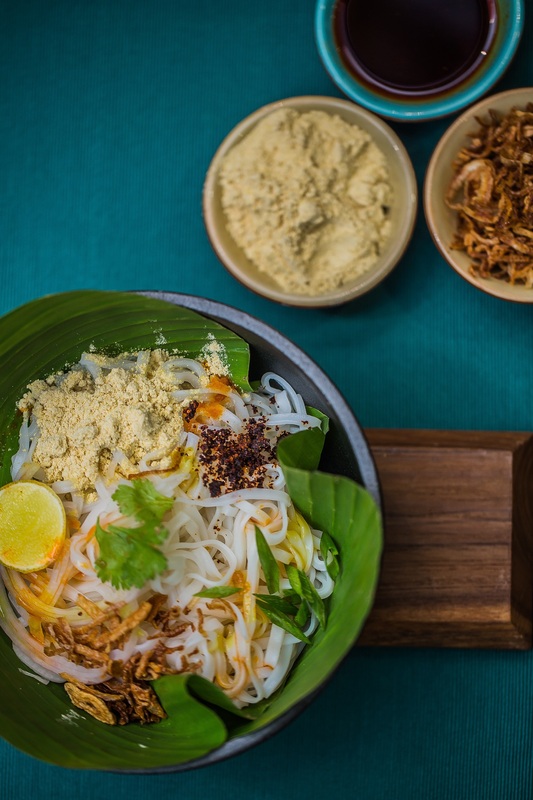 Ankit Gupta, Co-Owner of Burma Burma says, “we are trying prepare our vegetarian dishes in all different ways and trying to create some flavours which have not been tested before. For instance we have an indigenous product called Tohu, which is made with roasted Gram flour (Besan) and I can assure that no one can figure out the ingredient in that preparation. A key driver of the vegetarian movement is being fueled by people going vegan (that abstains use of dairy products that come from animals). Interestingly non vegetarians who give up meat are becoming vegan rather than vegetarian. Susmitha Subbaraju, Co-Owner, Carrots, India’s first vegan restaurant in Bangalore that was opened over five years ago avers, “the intention was to let people know that there is no need to use animals for food as you can cook a variety of food with plant based ingredients.” The menu here is huge, well its 40 pages and the team ensures that there is something for everyone’s palate and the fusion menu has winners like the Carrots Healthy Platter and Aubergine Mushroom Platter that use vegetables and grains interestingly. In fact going vegan is easier than you think and Subbaraju who has been vegan since 2003 admits that vegans have more choice that you can imagine. “South Indian food with curds and ghee is vegan by default and the options to substitute them are quite mind boggling. When I turned vegan, I thought I was giving up dairy but instead of giving up one kind of curd or milk, I actually had so many more kinds of milk and curd at my disposal and a lot of these are very easy to make at home yourself.” In fact you can use almond milk, brown rice milk, soya milk, oat milk, millet milk and coconut coffee and curds from peanuts (that has a nice thick, creamy texture), soya curds and coconut curds are interesting options that have different taste profiles. Remember the old adage, “you are what you eat” and vegetarian food is not just the right way to keep yourself healthy but is also ecologically sustainable – now that’s a win-win situation for sure. Boil the Arbi, till soft. Peel and flatten it. Heat oil in vessel and fry it till golden brown and crisp. Keep aside. Peel and cut the onion into slices use only the outer ring. Take a pan and melt the butter, toss the onion till soft and add chili flakes. Take a bowl for tossing and put the fried Arbi in the bowl. Add the Peri Peri seasoning, sautéed onions, coriander and cumin powder, chopped coriander toss well and serve on a plate garnish with micro greens. In a clean bowl, mix vinegar with salt, pepper and mustard. Slowly whisk while adding streaks of oil till the dressing is homogenized. Add honey and mix well and the dressing is ready. Take the rucola, tomato, quinoa and berries in a bowl. Toss all ingredients with the dressing. Serve in bowls and top up with freshly cut avocado.